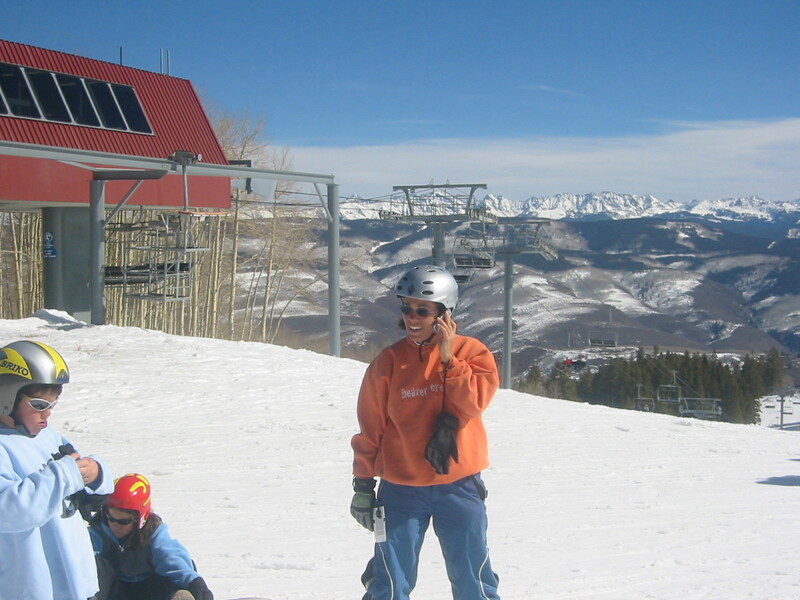 We used to use Motorola Talkabouts on the slopes to stay in touch with our friends and family. But cell coverage has gotten so good on the mountain that we use phones instead. Here’s the Gotham Gal making plans to connect with some friends.